Shellie Fritz, a 2004 intercultural studies graduate, was featured in a video for the Urbana Missions Conference. 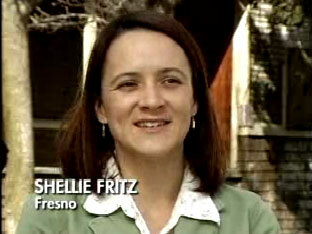 Fritz has worked in Fresno as a part of an inner city ministry ("The Big Pink House") for the past couple of years. She recently transitioned to a new role with a community-based NGO, but continues to work in these same impoverished neighborhoods. To watch the video, click here and choose the video titled, "Yes, Your Majesty."